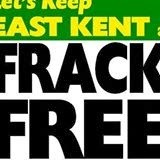 Canterbury District Green Party: Michael Fallon MP, Minister for Energy. Michael Fallon MP, Minister for Energy. Click HERE to watch proceedings from Committee Room 1 on 21st Jan 2014.